The digital home of Miami University Art Museum's bi-annual magazine, featuring Visual Arts exhibitions, programs, and events at the Art Museum, McGuffey Museum, Hiestand Galleries and Cage Gallery. The Miami University Art Museum, completed in 1978, was designed by Walter Netsch of Skidmore, Owings and Merrill, Chicago, and is situated on three acres of scenic sculpture park grounds. We house five galleries of changing exhibitions and a growing permanent collection of more than 17,000 artworks. 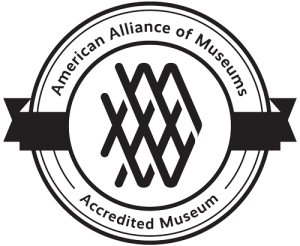 MUAM is accredited by the American Alliance of Museums (AAM) and is a proud member of the North American Reciprocal Museum Association (NARM). Where is the Art Museum on Campus? For starters, you can’t miss the large, industrial red sculpture on the front lawn. MUAM is also just an 8-minute walk from the Armstrong Student Center, diagonally across from Tappan Hall, at the intersection of S. Patterson Ave. and Chestnut St., right when you enter Oxford off of State Route 27. What can the Art Museum do for Students? Lots of things! MUAM is a great place to see diverse exhibitions and study outstanding works of art. You also can work, intern, volunteer, join the art museum student organization (AMSO) and attend lectures and social events. What can the Art Museum do for the Public? The Art Museum and Sculpture Park is FREE & OPEN to ALL and is an excellent venue for exploring arts and culture from around the world. Membership in support of programs and exhibitions is available at varying levels. Each offers a higher level of engagement with the museum via special-invitation-only events and special programs. More information on our member program is available on our web site via the Members link. Our Spring 2018 issue of Visual Arts at Miami is live! Check out the Fall 2017 issue!